May buy 5 for yourself and 5 additional as gifts. May redeem 1 voucher per online order. Must use entire value in one visit. Shipping and tax are not included. Valid through: Jan 31, 2015. See the terms that apply to all deals. 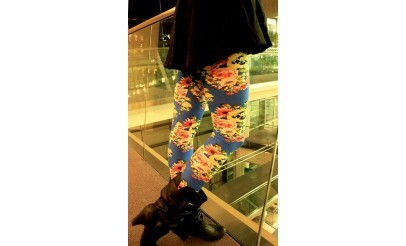 The "blooming beauty" leggings are made from a stretchy polyester blend that is tapered to the legs. The leggings are low-rise and floral printed. Available color options are White, Black, Blue or Brown. Lovely Allure Boutique specializes in women's fashion. Their commitment is to bring high-quality clothing and jewelry to you at a lovable price!